This article describes how to add money and make payment using state bank buddy app. State Bank recently released an application named State Bank Buddy for instant payment services. 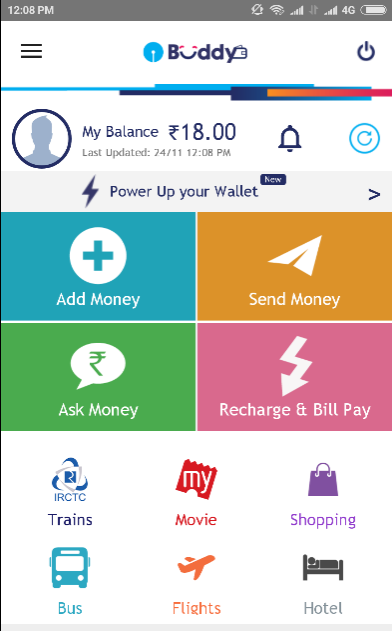 Using this application, we can simply recharge mobile phone, pay money, and send money without touching currency notes. State Bank buddy is a digital wallet like paytm, mobikwik, oxygen wallet etc, but State Bank buddy is an official digital wallet made by State Bank of India like icici pockets made by icici bank.Unlike all other digital wallets, State bank buddy is very simple to use and make payment. Let’s see how to download and make payment using state bank buddy. Currently this app is only available for android users. You can download the app using this Play Store link. After download, you have to register with your details. In State Bank Buddy, mobile number is the central point and all transitions are based on your registered mobile numbers. While registration, you have to set a secret PIN number with 4 digits. Unlike username and password in internet banking, here you need to keep this 4 digit PIN code for all transactions. So you have to keep this PIN as secret. Be careful about setting simple PIN code like 1234. After registration, you can login using your PIN code. How to Add money to Buddy? You can make many types of payments using Buddy App. Sending buddy money to other buddies, recharge and Bill pay are main payment methods. Also you can make payment for book trains, flight, movies, hotel, etc using third party sites linked with Buddy app. First of all you have to add some money to your wallet. 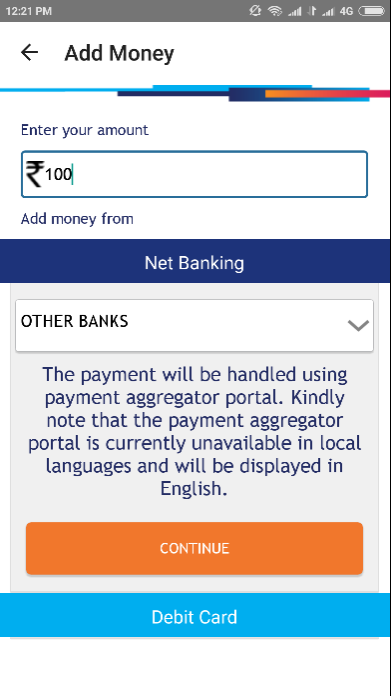 By going on ‘Add Money’ you can add money via Net banking and Debit card methods. In net banking, State Bank of India is the default but you can add money through any bank in India which support Internet Banking. If you don’t have an Internet banking account, then use Debit card for add money to wallet. Let us add some money through Internet banking. First you have to enter the amount that you want to add your wallet. The maximum limit is 10000, but now you can add up to 20000 in this demonetization period. Here I entered RS 100 as amount. In next page, you have to choose your bank. If you have Internet banking system on State bank of India, then choose it, else select your bank by going ‘other banks’. Then complete the payment. In case of Debit card, you have to enter your debit card number, CVV/CVC number, expiration number and card holder name and complete the process. In both Internet banking and Debit card, you have to enter an OTP (One Time Password) that comes through SMS to your registered mobile number with account. How to Recharge Your Mobile Number? You can recharge your prepaid/post paid mobile number within 2 more steps. Choose ‘Recharge & Bill Pay’. 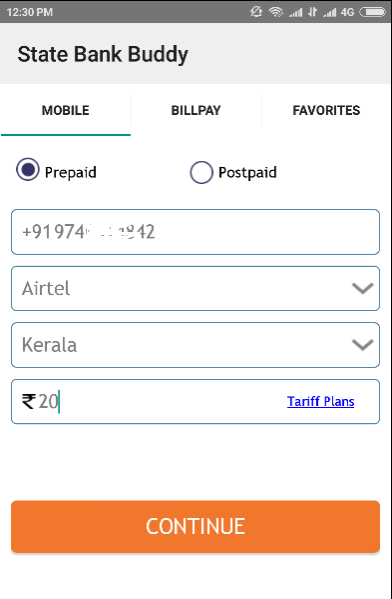 There you have to enter your mobile number, operator, circle and amount. Then tap the button ‘Continue’. Proceed coming steps. Finally enter your PIN code to complete the recharge process. In 'Bill Pay' section, you can make many type of payments like paying electricity bill. Like this, you can make many kind of payment and send buddy money to another buddy user.